The Slavs are to work for us. 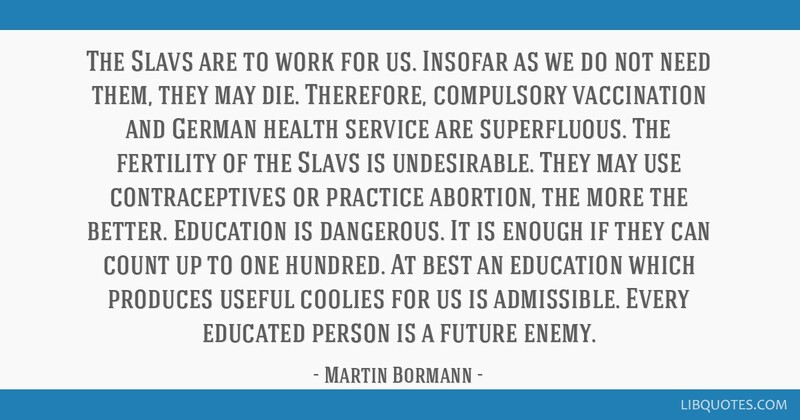 Insofar as we do not need them, they may die. 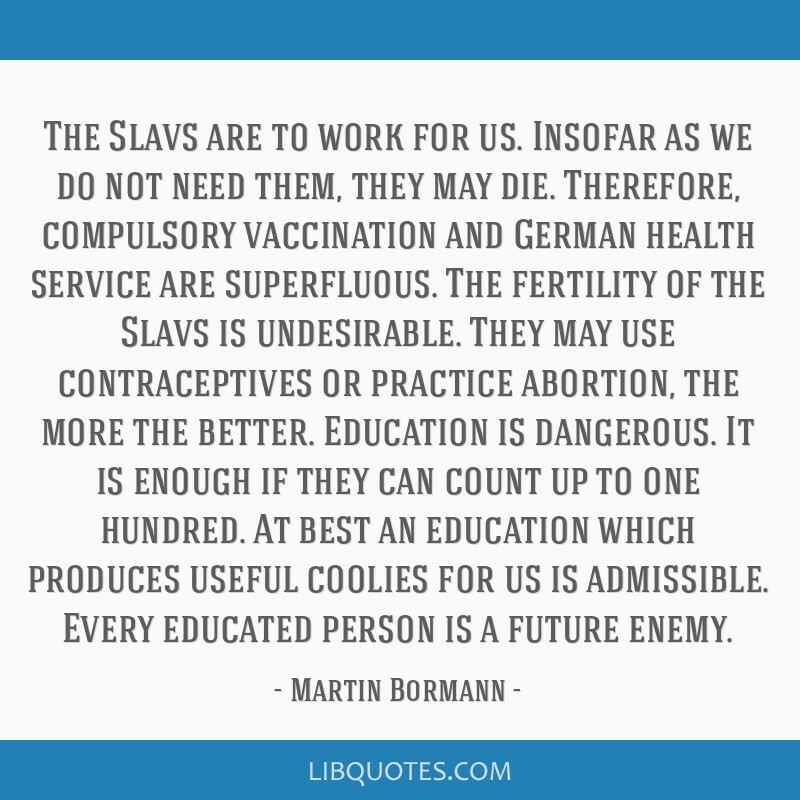 Therefore, compulsory vaccination and German health service are superfluous. 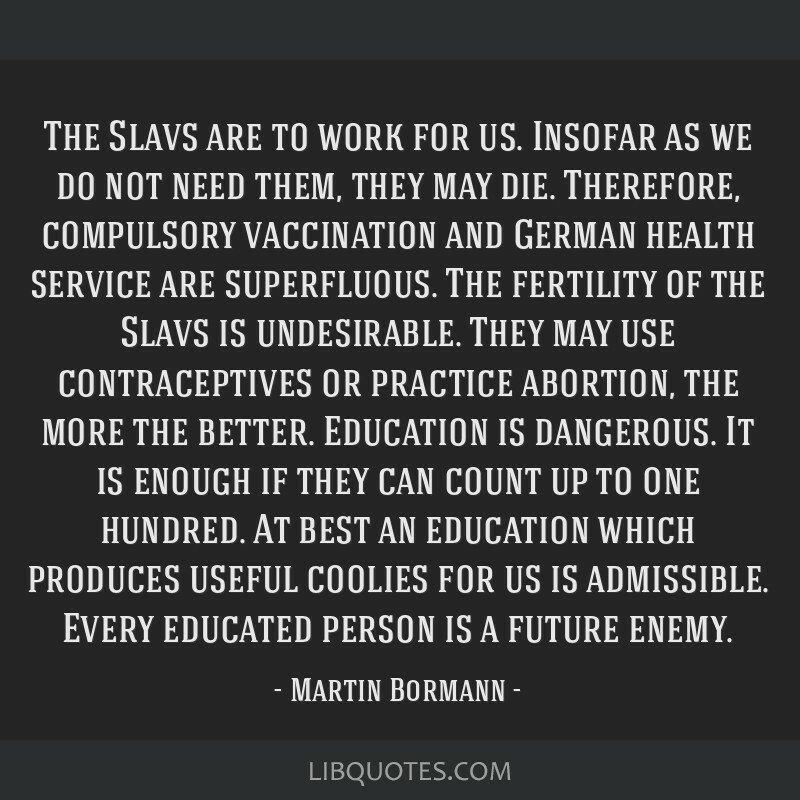 The fertility of the Slavs is undesirable. They may use contraceptives or practice abortion, the more the better. Education is dangerous. It is enough if they can count up to one hundred. At best an education which produces useful coolies for us is admissible. 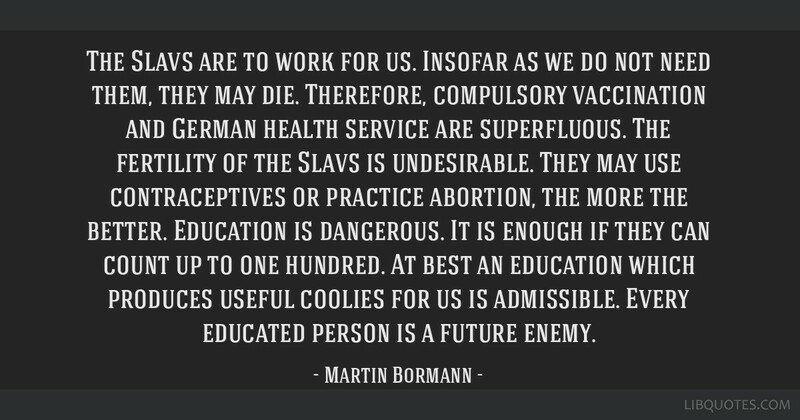 Every educated person is a future enemy.